I read this book a while ago, looking for modern applications of the Montessori method. It is sometimes said that Montessori kindergartens and schools are against digital media, and some of them actually are, but the authors of this book find references in Maria Montessori’s publications that highlight her goal of making the child familiar to the culture of its location and time. Nowadays, digital media are present everywhere, and are part of almost all parents’ lives. Even if the child would live in a technology-free home and go to a kindergarten without any digital media, it will still see them everywhere else, and it will of course be curious about them. Uninformed experiments could be very risky, so the question is then “how can I help a young child learning about digital media” rather than “if”. The first chapter of the book is quite technical, but I appreciated its in-depth analysis of different kind of digital media, their uses, their downsides, and an explanation of media competence (in four stages: critical thinking, knowledgeability, usage as-it-is and modification/original usage). The authors consider that very young children should make useful experiences with digital media, and get support from the teachers on how to use these tools safely. The special difficulty in teaching digital media is connected to their very recent development: many teachers are less experienced that children, and are not able to integrate these tools in the classroom – and the same can happen at home with the parents. The second chapter summarises Maria Montessori’s life and works, and the third chapter outlines the integration of digital media in Montessori pedagogy. The child is progressively made familiar with them, first only by passive observation when it is very young, then by usage, then afterwards by increasingly critical thinking about how the tool works, if it fulfills the child’s needs in a particular activity, what are the consequences of its usage. The authors underline the importance of using digital media not just for entertaining but mostly as a support/expansion of learning. I liked the point where they state how the child should be deciding what to do and then pick the best tool, rather than picking the tool first and then adapt to what the tool can do – it showed me how the child focuses on its ideas rather than being led. The chapter ends with a reflection on teachers, who have grown up without media, and have no personal experience to rely on. With a good plan, this gap can be successfully closed. 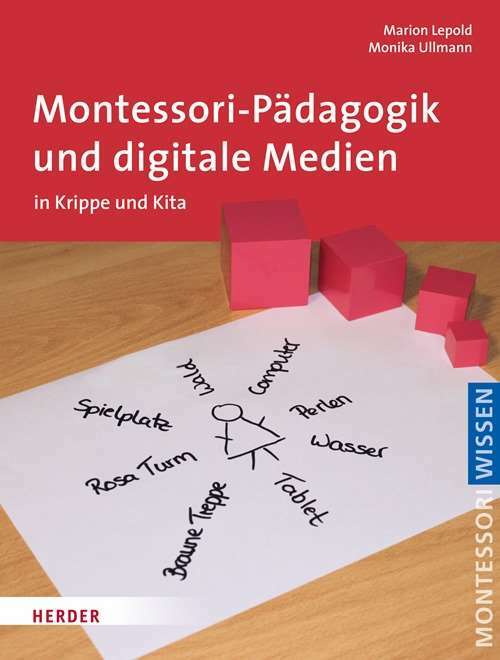 The last chapter deals with the practical aspects of introducing digital media in a Montessori kindergarten where they are currently absent, and takes into account many levels of interaction: with the direction, with fellow teachers/colleagues, with parents. In many cases the path has to be explored as new, and great importance is given to tech-competent people (teachers and parents) who can contribute a lot in sharing useful information in the group. Last but not least, the addition of digital tools in the classroom have to abide regulations and good practices about privacy. All of this aims to create a learning environment for the child in the field of digital media, promote awareness in their potentials and risks, and foster responsible use from an early age. I really liked this book and I think it will be an important reference when I’ll be teaching. As a former software developer, I wish to share the knowledge I acquired, and the proposed framework will definitely help me promoting the idea of introducing digital media in kindergartens. Unfortunately it’s in German… but I bet there are equivalent publications in English and many other languages. If you know one or more, I’d be curious to read them! 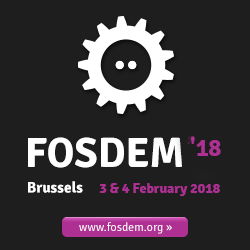 Sunday, February 4th, was the second day of FOSDEM and the day dedicated to the Geospatial devroom. Back from the times when I was active in OSGeo, I co-organised a developer room focused on mapping technology, that hosted presentations for the whole day. As I helped Johan with the devroom organisation, I was in the room for the whole day except a couple breaks, and listened to all presentations. There are a few that I liked more, but what fascinated me was the variety of topics that the presenters offered to the audience, and that kept my interest always high. Coming from an OSGeo background made me think too: I thought that most (at least big) projects were part of OSGeo Foundation, but at every FOSDEM I discover projects that have their user-base, history and solidity, and were unknown to me. It makes me believe that geospatial technology is more widespread than what OSGeo shows, and there are a lot of actors who don’t see the need to belong to the Foundation. It doesn’t have to be the goal, it’s more a reality check for me. If you are interested in these talks, you can watch the video recordings and browse the slides used during the presentation. They are available in the pages linked to the table above. Speaking of little wins in my radar, I decided to practice drums, yoga, blogging and drawing on a more regular basis. I tested various apps and off-line tools, and I finally chose an app for activity tracking, Loop Habit Tracker. I can set how often I plan to practice a given activity and it produces nice statistics and graphs. I’ll let you know how it works in a future post! For a long time, humanity only dreamed of flying. I had the chance to grow up in a time where flying was possible, even if only as a luxury, and later witnessed the popularisation of flying. 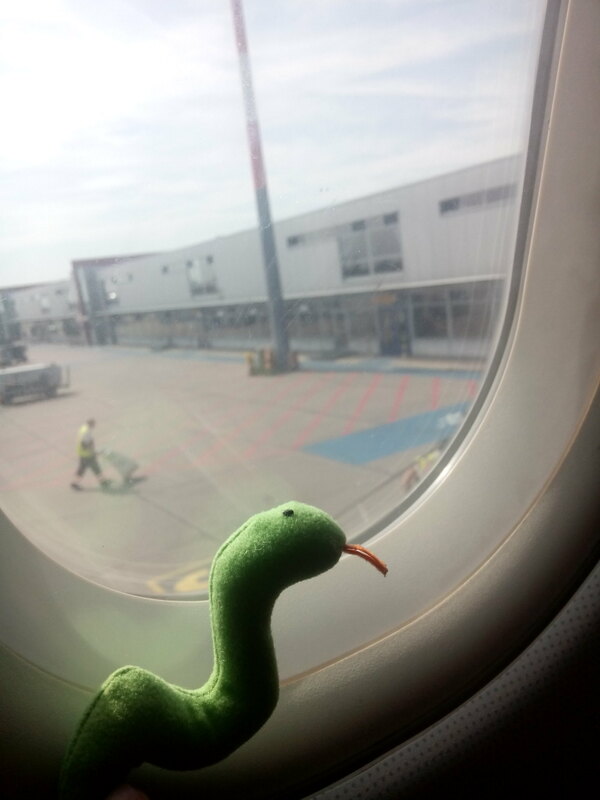 I definitely enjoy the current convenience of taking a plane to quickly crunch a few thousands kilometers and visit friends and family with much less planning than for a earth-bound trip, but I have been brought to think that the fascination of flying is pretty much gone. As a passenger, I’m sad to have only minimal contact with the pilots. I consider that flying a plane remains a challenging task, no matter how much technology increasingly assists it. I barely get to know their names, for sure not before boarding the plane. When I see the crew of a plane, in uniform, walking with their luggage in the airport halls or on the tarmac, I get a sudden feeling of sympathy and respect, but what I see is that most people nearby barely take notice. When I fly, I try to guess the pilots’ actions at takeoff and landing. These moments are for me interesting and unique, and I give them all my attention. I love to see the flaps being moved one by one during taxing or right before takeoff, it makes me imagine the plane as a huge bird who checks if all its feathers are OK before flight. And videos like this one, recorded during storm Xavier, make me remember how all flying machines, including the larger ones, are at the mercy of bad weather conditions, and only a great combination of pilot’s skills and equipment solidity can ensure safe flights. I shiver every time I notice how the whole plane bends under the wind gusts and dangerously bounces on the runway. 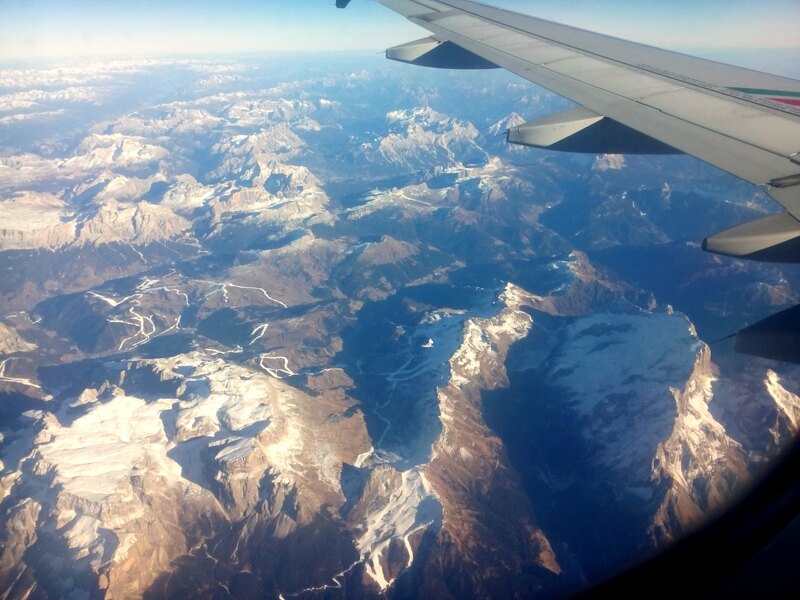 It is easy to get comfortable in my bubble, sleeping, eating, reading, watching a movie, and forget that I am flying over the Earth, over cities, mountains and lakes. I giggle when people eagerly scan the landscape from their window, then point to something, getting suddenly excited for recognising a place they always see from the ground. Too bad that I notice that less and less often! I remember keeping my friend Madi awake for almost a whole 12-hour flight, especially when we passed over Iceland and Canada. 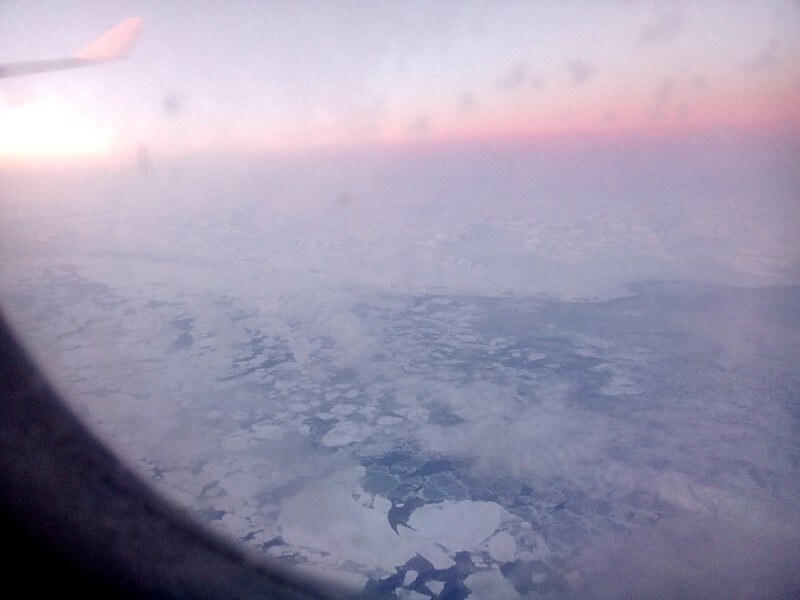 During the longest and most magnificent sunset I ever saw, we flew over ice-bergs, broken pack, firm immaculate ice-shelves, sea, and sometimes, tiny as a toy, a cargo ship. How could we sleep when there was such a view? 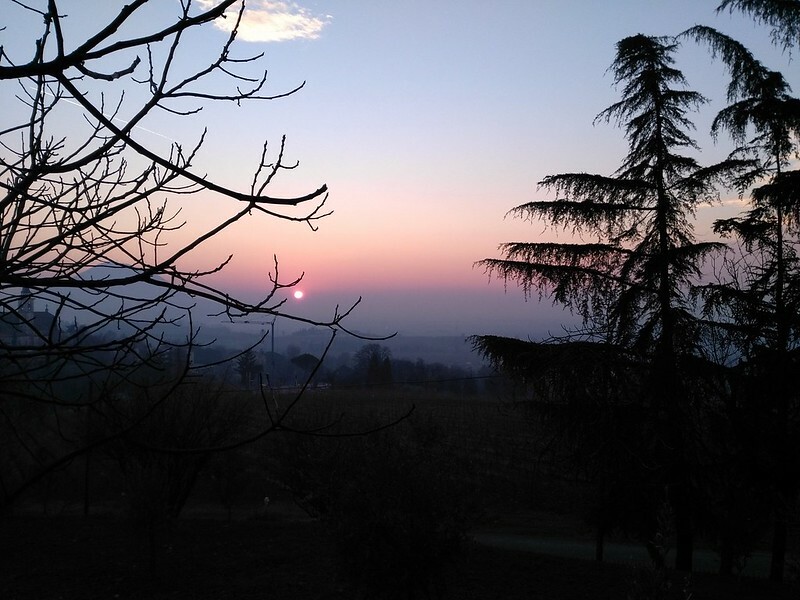 The first day of the Winter School was composed of two long sessions. The morning session focused on brain reading: its current state of development, potential applications and ethical issues. As per today, brain monitoring techniques are quite far from “reading thoughts” just like a sound recorder would record a conversation, so our discussions on how ethical it is to potentially read thoughts without a person’s consent (and its implications for privacy) were very speculative. My impression is that it is not that insightful to know what are the words and sentences that are generated by the brain at a certain moment, also because it is currently more effective to ask the person to tell them aloud. But what about lying? We had a complex discussion about how a brain reading device could detect lying. 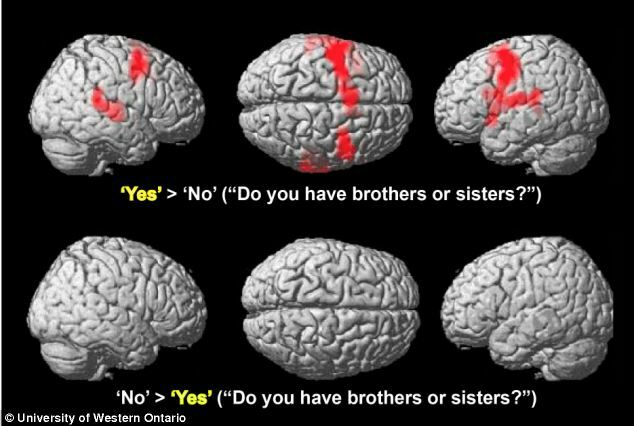 It could clearly be helpful in detecting if someone is saying yes while thinking no to a certain question; but how about cases of sincere wrong beliefs about given facts, or unconscious filtering of memory, or ill-formed questions? My thought is that it is more insightful to read the brain to know about the current mental state, than going for the high-level information conveyed by words. On that line, some studies tested the hypothesis that a certain set of emotions (and therefore specific mental activations) are triggered by recognising a scene in a picture and could tell for example if that person recognised the crime scene. My first objection is that the brain activation could come from recognising the scene for an unrelated reason, and would therefore be no solid proof. I find that the application of brain reading in assisting justice would be risky if it were trusted to provide reliable data. The same applies for DNA analysis: if the overall reasoning is unsound, it could even be evidence against someone innocent. My take is that it is just like a new tool in the kitchen: it doesn’t automatically make you a better cook, but in the right hands it can make your job faster or more accurate.